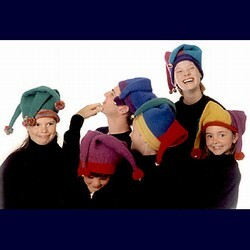 Knit these fun hats in 2 or 4 colors to felt or not. What better way to be seen on the ski slopes! !